Hey guys, here is the UPDATED PLAYOFF ROM for 2018-19 season. Special thanks to @slapshot67 for his work on graphics and player cards! Below you'll find the ROM and Excel sheet. Excel is in the zip folder, which shows player ratings, "Skip's ratings", etc. 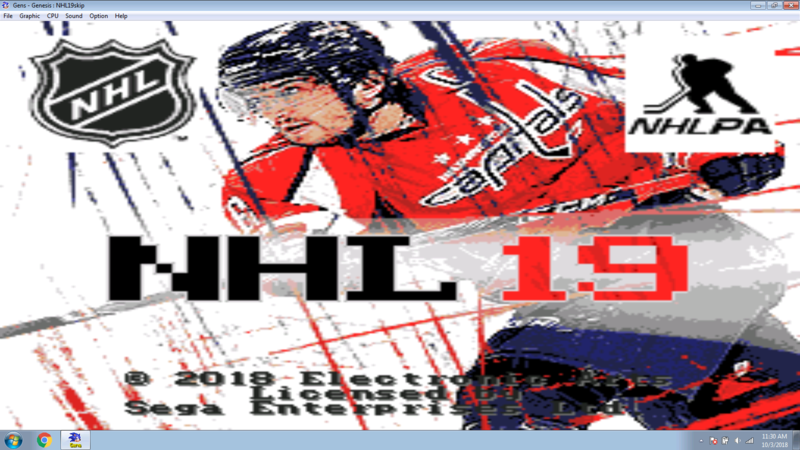 Changes from earlier 2019 ROMs: Player rating updates based on this year's performance, roster changes, some new player cards, playoff brackets to reflect actual 2019 Stanley Cup Playoffs. I updated every teams lines, including PK lines based on top TOI on PK for each team, last time but didn't do much this time around. Injured players remain in lineup on their assumed line. -This is the 32-team ROM (updated teams, logos, player cards and graphics by Slapshot67). -Updated team rosters for 2018-19 season (rosters and player ratings by Skip). 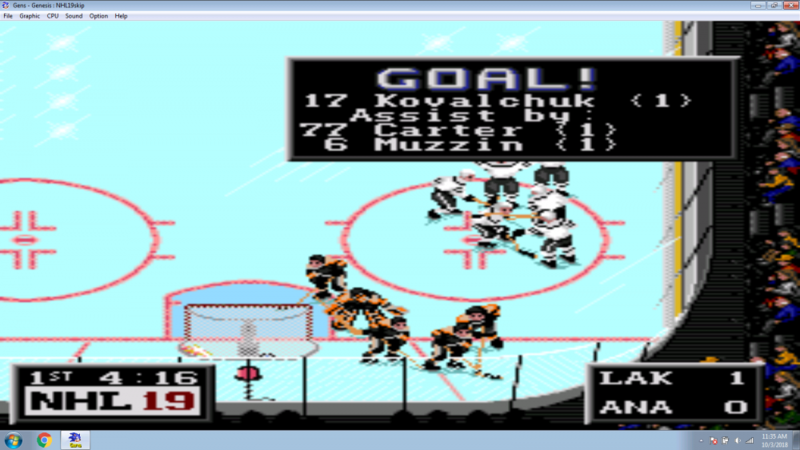 The 32nd team is still the NHL'94 Hall of Fame team, with original NHL94 ratings! -1 minute penalties (except for injuries = 2 min penalty). You can do 5, 7, 10 or 20 minute periods. NEW for 2019 ROM: Added in NHL Network's Kevin Weekes as the announcer. ROSTER NOTES: Some long-term injured players were also omitted (ie Stephen Johns, Christian Dvorak). 3rd line is usually a mashup of best players on a team's real 3rd & 4th lines. Tried to keep scoring lines as they are in real life, or how they "should be" when players return from injury. TOURNEY ROM has continuous OT. The regular ROM has 5 minute OT. 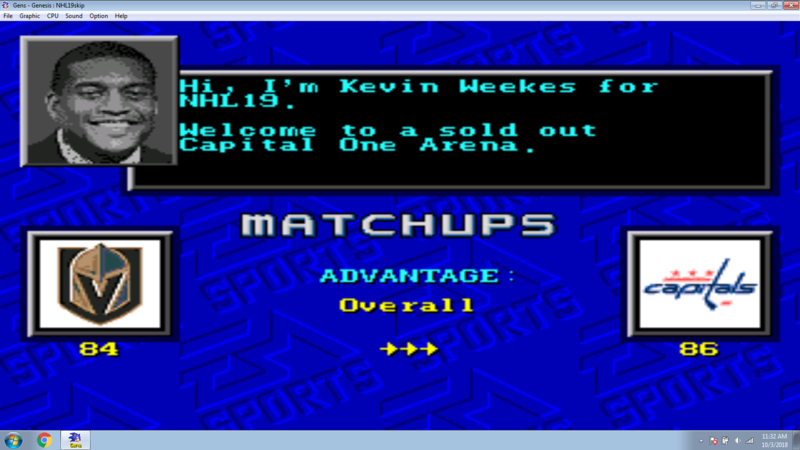 Zip folder has excel sheet with all players listed, including the NHL94 HHOF All-Stars roster, and Ratings list for all 32 teams. If anyone finds errors with players, jersey numbers, etc, please let me know. I will release a V1 once there are roster moves or player boosts needed. Enjoy! Is it me or is their no link to rom and excel sheet? They're all there now. My bad, been a long, tiring week. Also - is Weekesy aware of this? That's kind of a big deal. 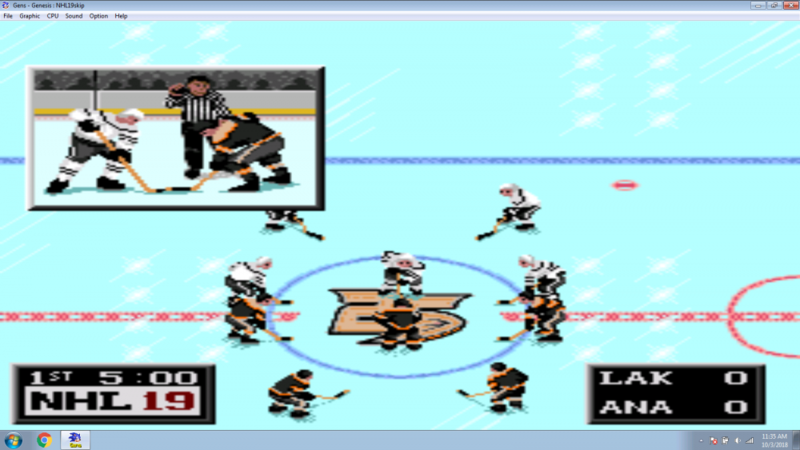 Still no reply about him being in this one, but that's ok.
Roenick, albiet a great player, is partially associated with this game due to a bug. Kathryn Tappen was a nice addition to your other rom. Mainly because she is friggin' hot!!! hahaha thanks bud! I've been meaning to check out your ROM too. Good call on Matteau, that was classic. Awesome.. VHL draft on the horizon? 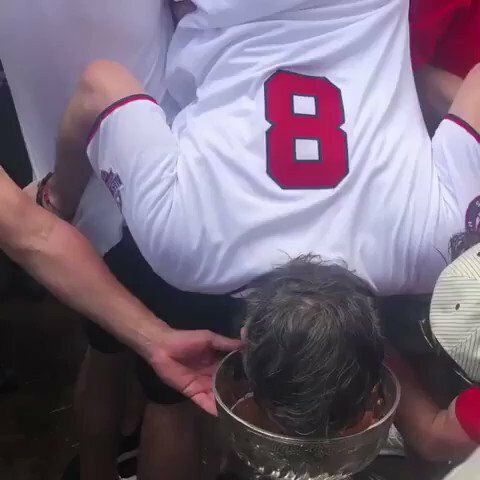 Keg stand wouldve been far better...my bad! VHL may happen, not sure when. Skip, big thanks for this! The hard work to bring this to the community is hugely appreciated. I posted this on FB and twitter. Thanks again guys for doing this! Thank you for this boys! Hey guys, just added the V2 edit. Rosters current as of today. Happy new year! shared it on social media for ya bud. @halifax thanks bud! I may need to do a V3 this week to add this rookie Conor Garland from Arizona, kid is legit I guess! You should definitely add Garland... you could replace Ullstrom (who hasn't played in the NHL) with him. Also, consider adding Jayce Hawryluk (C/W) to the Panthers. He's speedy, has 3 goals in 10 games and he likes to hit (25 hits in those 10 games). To add him, you could replace Derek MacKenzie (who retired last week and is now a coach) or Maxim Mamim who is now playing in a Europe League. I missed that MacKenzie retired, good call on that! V3 is added in original post. I realized I needed to do a little more work on the rosters for V2 almost immediately, my apologies for such a quick update + sloppy V2. I added a few players, too. Thanks @The Sauce for his note on the Panthers :-) very helpful for this update because I think I would've missed it! Maybe next season, I can put together a post of all 2020 season transactions so we can all stay on top of things. With surprise retirements, weekly waivers and minor (in addition to occasional noteworthy) trades, it may prove helpful. 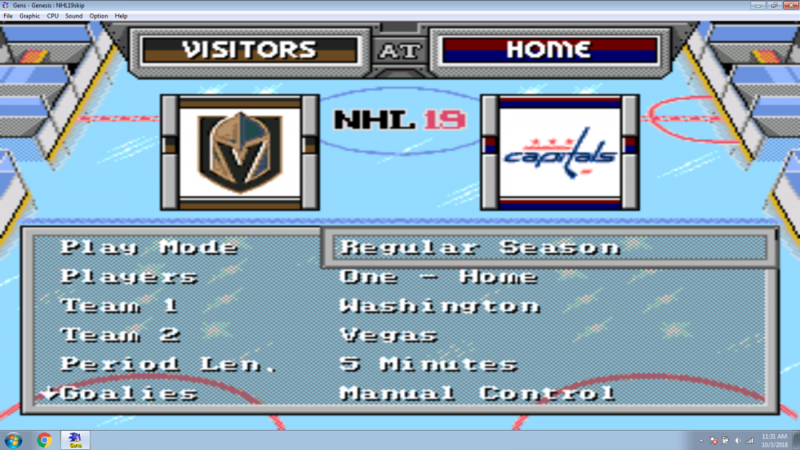 Yesterday I noticed while playing Washington that when the player cards begin to cycle, the game freezes up as well. I didn't notice anyone having this issue so I thought I would mention it. Thanks for all your hard work on these roms. I look forward to playing them each year a new one comes out! Game on! 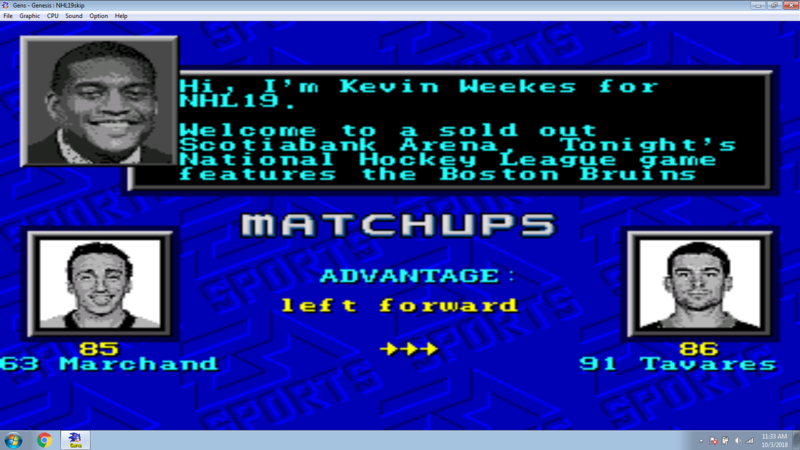 Hey guys, slapshot67 and I will have the trade deadline version out tomorrow!